Need a Quick Make-Over? Here are 3 Pampering Services for You to Try! With the hustle and bustle of everyday life, I often find myself tired and exhausted. My life revolves around overwhelming workloads and almost impossible deadlines that I have to meet. I always look forward to weekends where I can have my time. Just like most girls, I de-stress by pampering myself with different beauty services. Salons and beauty centers are my favorite places to visit as I try to regain energy and motivation to face another jam-packed week. Here are three pampering services I love and that you need to try if you haven’t yet! This trio is my favorite. Our hands and feet are the most abused parts of our body. Imagine how they work almost non-stop in a day. It is but proper to give them the reward they deserve at least once a month. When it comes to nail services, Nail-A-Holics is my go-to-place. Aside from the relaxing beachy ambiance, I love the wide range of nail polish they have. Nail-A-Holics uses imported polish that gives vibrant colors that last for up to two weeks for regular ones, and a good one month for gel polish. I usually go for light polish for my fingernails, and go for loud colors for my toenails. Make sure your nails are moisturized before getting your manicure. Dehydrated nail beds cause less nail breakage and chips. Always use a base coat before painting color on your nails. This protects the nails from stains and also serves as an adhesive for the nail polish to make the color last longer. If you are in a hurry, dip your tips in ice cold water to easily harden the nail polish. To extend the life and shine of your nails, apply thin coats of top coats every other day. Be careful when applying beauty and skin care products. Some types can cause discoloration making your nail polish look dull. A regular foot spa is also a must. Not only does it make the feet look prettier and moisturized, it also promotes blood circulation. It helps to relieve tension and stress brought about by walking, running, and other activities of daily living. Most girls dream of having thick and long lashes. Because, let’s face it, not every one is gifted with those. But don’t despair because Ooh La Lash has a solution so girls can achieve their dream lashes. Eyelash extensions or lash extenders are individual strands of natural or synthetic hair that are attached to the lash line using a special glue. Ooh La Lash carries a lot of extension choices. For those who want to achieve a natural look, try the Light and Natural. For perfect length and curl that is suitable for an everyday look, go for the Classic extension. If you are after volume with ultimate curl and extra long lashes, then Diva is the one for you. And for those who want to achieve beautiful lashes that are to die for, Vixen is a must try! 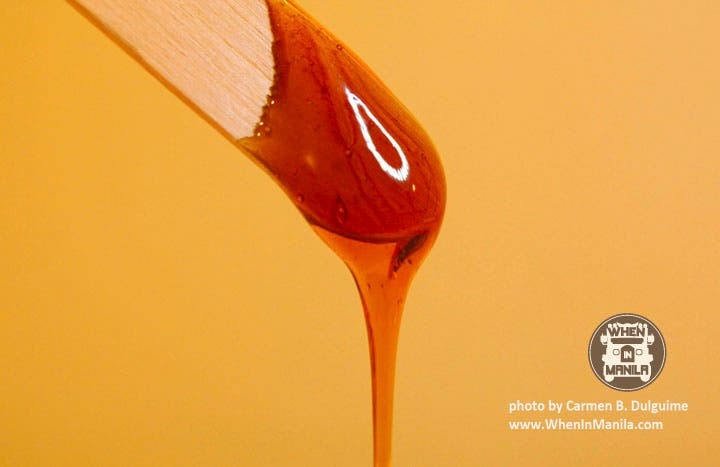 Thanks to waxing, we can now get rid of unwanted hair and achieve a flawless and hair-free skin. One of my problem areas is my hair around my brows. Although I have nicely shaped brows, there are many stray hairs that affect the appearance of my eyebrows. I usually have them threaded and would take 2-3 weeks before new hair would grow. For waxing and threading services, Hey Sugar! is one of the salons that use organic products. They offer a wide variety of services like underarm waxing, Brazilian waxing, eyebrow and upper lip threading, and leg waxing. Less health risk – Most products readily available in the market today contain high levels of harmful substances which are harmful to the body and might cause a number of diseases. Nourishes the skin – All natural beauty products are plant-based. This means that all the ingredients are from plants or plant derivatives, which come with nourishing power. Lower exposure to allergens – Chemicals found in most beauty products can cause skin irritation that triggers allergens. This is especially true for those with sensitive skin. Organic products are proven to be gentle on the skin and have no side effect. 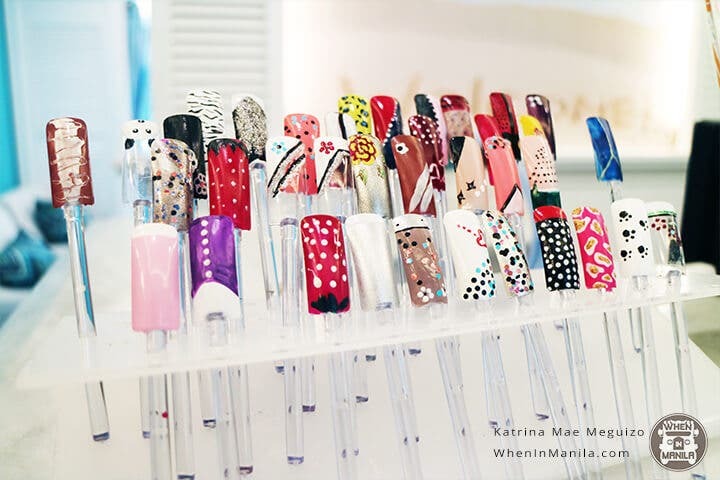 For your one stop pampering needs, visit Nail-A-Holics, Ooh La Lash and Hey Sugar! at the Mezzanine level of Unimart, Greenhills, San Juan.